How can we empower designers to increase “impact,” especially in collaborating with researchers? Next week Benjamin Stokes will be presenting at the Game Developers Conference (GDC) in San Francisco. This talk extends our research on #GameImpact with G4C, and amazing conversations with pioneers in training designers for research collaborations, including Heather Desurvire, Mary Flanagan, and Jessica Hammer. Feb. 27th, 2:10pm — See details. Graduates in design are under increasing pressure to collaborate with social scientists, including to measure impact, and to improve the product itself. How should game educators prepare them? Are entirely new courses needed on “game research methods,” beyond usability? How can students be empowered to stand up for good design, even as they share power with outside experts? Takeaways: Attendees will take away several distinct strategies (for the classroom and beyond) for training designers to work with external researchers. 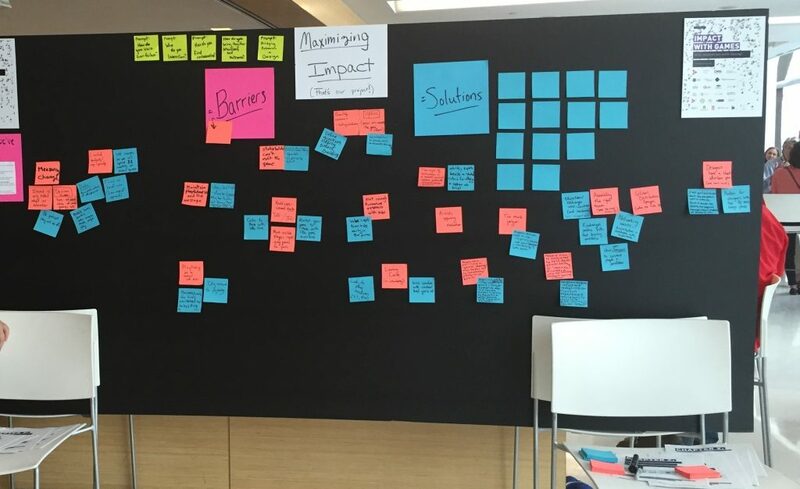 Learn what several universities are doing, including different approaches to usability training, managing up, and reframing creativity for impact. Each strategy builds the capacity of students to collaborate with outsiders. We have been having a great time getting feedback at events. Last month we were in NYC for the 13th annual Festival of Games for Change. We had some great conversations, like with the visualizations of Dot Connector studio on engagement models. To gather input, the crowd presented a fascinating sample: about 10-20% were highly experienced, including designers and academics who had been attending similar events for years; another 30% were newcomers, hungry for perspective; and perhaps 50% were somewhere in-between, including funders with deep experience in a content domain, but eager for ways to be smarter and learn from other disciplines. What barriers? Newcomers especially wanted a glimpse of what’s hard, and how to get started. What language? Experts immediately wanted to debate the right language. Conflicting views emerged immediately. Is this our field? Critical mass is necessary for engagement, and the right identity frames helped build a broad tent. We are collecting “tools to think with” for strategy with games and social impact. Last week at G4C we met with Jessica Clark and Katie Donnelly and discovered some neat visualizations compiled by their Dot Connector Studio team, including some based on prior work from AIR, CMSI, TFI Interactive, etc., and reinterpreted (see their full overview). 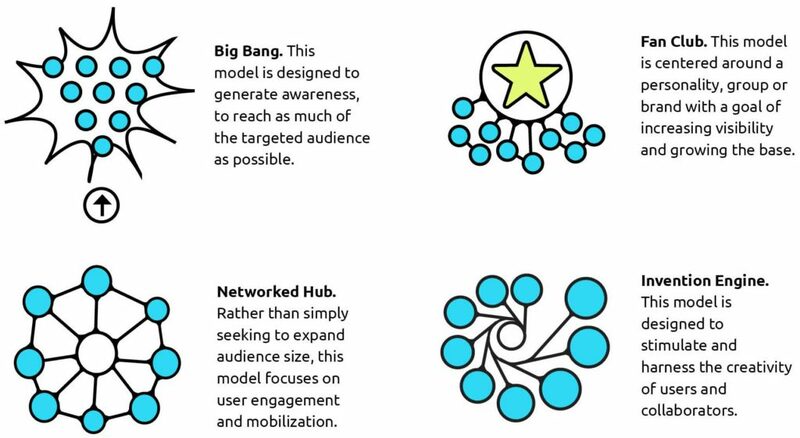 (1) Engagement Models — 10 different models with visuals. See their full list (PDF). 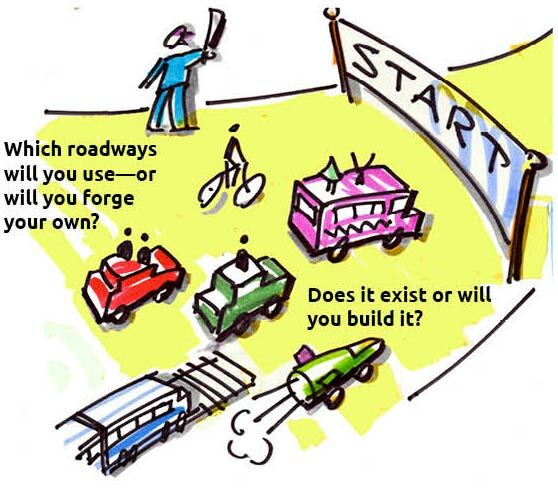 (2) Partner Types — useful to resist simply “build it and they will come”! (3) Roadmap for creating new projects — a great way to represent some of the “hooks and triggers” for strategic questions. The focus here is on film, but much applies to games. See also their full PDF. Thanks again to Dot Connector Studio for sharing these! Our session is: “Increasing coherence in ‘impact’: crossing disciplines and framing.” We’ll be presenting alongside talks by Jesper Juul and Hanli Geyser at 4pm. In the past decade game design for “impact” has proliferated. Yet fragmentation is also growing between researchers, designers and funders in their ability to compare game proposals and communicate effectively about impact. Success in this endeavor may require new umbrella language to guide meaningful comparison and improve efficacy — especially across stakeholders. Fortunately, strategies for reducing friction and aligning design with research are surfacing. In a report published last year by Games for Change and ETC Press (2015), we first revealed some of the hidden barriers in language and framing around “game impact.” Based on dozens of interviews with sector leaders (primarily in the United States), the report identified five areas of concern that increase confusion and undermine impact. for research to affect practice, special care is needed to avoid framing research in opposition to creativity. In response to the report, more than 30 individuals submitted formal suggestions, including some leading game studios and academics. The feedback opened new areas of inquiry. In the past several months, we identified several “risky assumptions” that may drive fragmentation. Diagnosing assumptions is more delicate and subjective than documenting fragmentation; yet it yields more actionable insights. Join our session on June 24th at 4pm with Colleen Macklin, Asi Burak and Benjamin Stokes. For two years, the GameImpact project investigated sources of failure in articulating game impact. Our first results (published last year) showed the fault lines — especially across sub-fields. Now we introduce and debate several “thinking tools” for executive producers, lead designers and funders. Here are strategies to avoid the holes between research and design, between impact and intention. We are thrilled to announce that chapter two is now available for download. 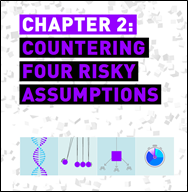 With some neat infographics, “Countering Four Risky Assumptions,” (PDF, 1.2mb) describes concrete steps to reduce the fragmentation in our field. The full report on Impact with Games now includes this new chapter, alongside updates to our initial research based on ideas received over the past year. The launch for the new chapter officially takes place on April 18th at the G4C-Tribeca Games and Media Summit in NYC. Each of the “risky assumptions” in this new chapter cuts across disciplines and design practices. They are sneaky, and seem to aggravate the field fragmentation that is described in the main report. But they can be countered. The evidence for these deep assumptions, though well attested by leaders in the field, is often indirect; therefore, this chapter offers careful provocations rather than definitive conclusions. The publication also highlights some great ideas that emerged from our community, as part of revising the first report (see summary of changes). Neat! 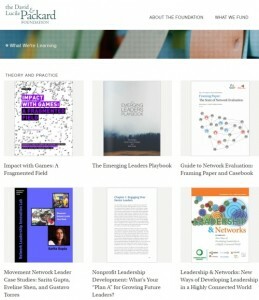 Our report was just featured on the “What We’re Learning” section of the David and Lucile Packard Foundation’s website. We’re in their focus area on “Impact, Theory and Practice.” We’re proud to have Packard funding this work! 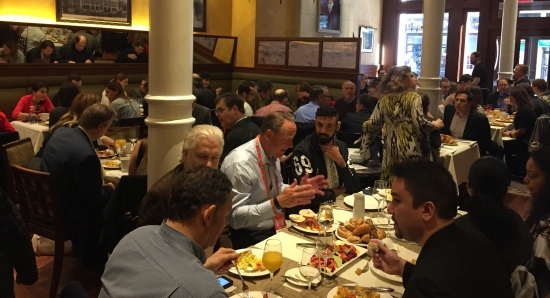 At a VIP breakfast on Day 1, we launched the report to a packed room of industry experts. In the picture below, the President of the Entertainment Software Association Michael Gallagher talks with HH Prince Fahad Al Saud of Saudi Arabia (who also presented on his game Saudi Girls Revolution). Our presentation came from team members Nicole Walden and Benjamin Stokes. We also shared pieces of our report with attendees during two practitioner lunch discussions. We received some really interesting feedback from game designers, funders and researchers — but also art historians, game distributors, and educators. Much of this feedback will end up in future reports and on our blog (we’d share a picture, but were too busy eating to take any!). 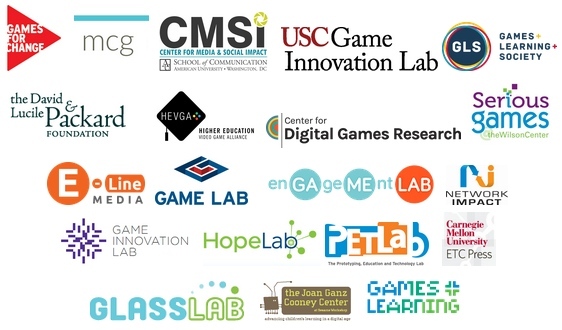 We also announced a slew of collaborators (see logos below, and list on the report page) — and more are coming! 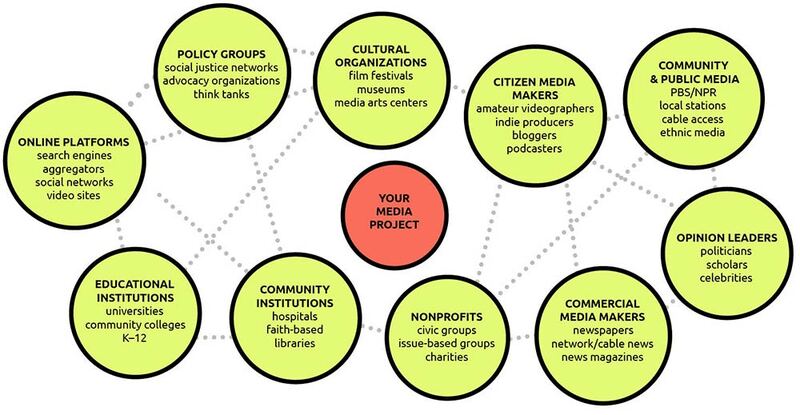 If your organization would also like to help spread the discussion of “games + impact” — including how our field is fragmented, and what can be done — let us know! Our first report on fragmentation will be in “open draft” mode, beginning April 22nd, 2015. This is just in time for the Games for Change Festival. Take a look!